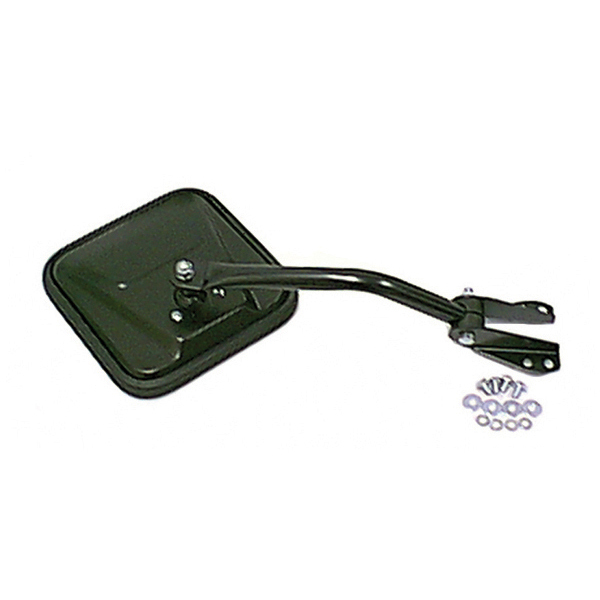 MIRROR & ARM ONLY, LH, BLACK, 58-86 CJ - Jeep Parts Guy - All the Jeep Parts You Need! Change the look of your Jeep with genuine Rugged Ridge black exterior accessories. All accessories are powdercoated in a semi gloss finish to protect your investment against the elements. This is the mirror arm and bracket only. your investment against the elements. This is the mirror arm and bracket only.